Marta Harnecker is the author, most recently, of A World to Build: New Paths Toward Twenty-First Century Socialism (Monthly Review Press, 2015). This exchange with Greek journalist Tassos Tsakiroglou was conducted in advance of the conference on “150 Years of War Marx’s Capital: Reflections for the Twenty-First Century,” held in Athens in January 2017. The interview first appeared in the Greek newspaper Efmerida ton Syntakton; what follows is a revised and updated version of an English translation published in the online socialist journal Links. Tassos Tsakiroglou: You are coming to Greece for a conference on the actuality of Marx’s theoretical system. In the midst of a severe international financial crisis, what lessons can we draw from Marx’s critique of political economy? Marta Harnecker: I believe it is incredible how Marx anticipated what would happen in the world in regard to the development of the capitalist mode of production. To name only a few things: he announced the tendency to concentrate more and more in less hands (look at multinationals today), the conscious technical application of science to the process of production in general and especially to the exploitation of soil (look at robotic and transgenic agriculture), the entanglement of all peoples in the net of the world market, and, with this, the growth of the international character of the capitalist regime (look at globalization), and so on. He could foresee all this because he was capable of discovering the logic of capital and, in doing so, he was looking to provide workers with the theoretical instruments for their liberation. We must then be able to distinguish between the study of the capitalist mode of production as a theoretical abstract object, and the concrete historical study of a social formation and the class struggles within it. Not keeping in mind these different levels of abstraction and applying Marx’s concepts mechanically, as if reality hasn’t changed during these 150 years, led many Latin American Marxist intellectuals and activists to try to insert our reality into the classic concepts, thereby preventing them from understanding the new phenomena that were happening in our region outside those parameters. My talk at the event about Karl Marx’s Capital will explore those new phenomena and try to carry out some reflections of what has happened in our region in the last decades, showing how it approaches and how it differs from what Marx outlined in Capital. One of the things that has really changed from Marx’s time to now is the situation of the industrial working class in the world, and in Latin America especially. We don’t find big concentrations of workers in big working-class neighborhoods. This is due in great measure to the implementation of neoliberal economic measures such as precarious labor conditions and subcontracting, and its strategy of social fragmentation that has divided the working class internally. The critical emphasis placed on the industrial working class led Latin American parties to pay no attention to the specific characteristics of that continent’s revolutionary social subject. During many years we were not able to perceive the role that indigenous people and Christians can play in revolutions in Latin America. TT: The present split between the 99 percent and the 1 percent and the widening inequality revives the notion of class struggle, which for many decades was supposed to be dead and buried. However, what we see is the inability of the left to take advantage of this reality and to elaborate a realistic and convincing alternative to capitalism. MH: Was the notion of class struggle dead, or was it that those who share that opinion did not understand that historical processes develop in waves? There exist periods of calm, where it seems that class struggle has disappeared, but then there comes other periods where many oppressed social sectors begin to move into action, building up to the massive expressions of rejection that we have seen in the last decades in different parts of the world. You see the inability of the left to take advantage of this reality. I think you are generalizing too much, at least in the case of Latin American left. Neoliberalism and its horror—the extension of hunger and misery, increasingly unequal distribution of wealth, destruction of nature, increasing loss of sovereignty—created a situation where people reacted, resisting at first and then going on the offensive to make possible the election of left-wing presidential candidate with anti-neoliberal programs. A new correlation of forces was established in our region that made it more difficult for the United States to achieve its objectives in the region. But as could be expected, the United States never ceased in its intentions to stop the advance of our process, a counterrevolutionary goal in which it has achieved some important temporary successes in this last year, taking advantage of the big economic difficulties arising from the world crisis of capitalism and especially the drop in prices of raw materials. 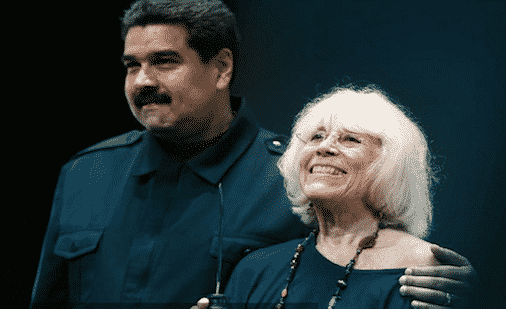 Ultra-neoliberal rulers had been installed in Argentina and Brazil, and they are trying to block the advances of the Bolivarian Revolution in Venezuela. But although today there are some setbacks in the region, nobody can deny that there is a huge difference between the Latin America that former Venezuelan president Hugo Chávez inherited and the Latin America he left us. An objective view should recognize that there have been very important advances in some of our more progressive countries that have had “to invent in order to not commit errors” as Simón Rodríguez said. I will speak about this topic in my talk. And from the economic point of view, there are countries governed by the left that have been successful economically in the midst of this world economic crisis. For example, Bolivia’s achievements in this respect are remarkable, thanks to the intervention of the state in the economy, and the use of surplus to solve the problems of the poorest sectors. TT: In many of your writings, you examine the trajectories of several progressive Latin American governments as they worked to develop alternative models to capitalism. What’s your estimation of this course of action, especially after the developments in Brazil and Venezuela? MH: First of all, we have to distinguish between what has happened in Brazil with Lula and Dilma’s governments and what has happened in Venezuela. Even if both have in common the struggles for social equality, political democratization, national sovereignty, and regional integration, the correlation of forces in Brazil didn’t allow for a change in the institutional rules of the game as occurred in Venezuela, where a progressive constitution was established. We could say that in Brazil the Workers Party (PT) governments have emphasized social issues, but they couldn’t break the neoliberal agenda. In Venezuela, Chávez government’s orientation was to build a new society, an alternative to capitalism—twenty-first century socialism. To do so he had to start from the inherited state, therefore the first step he took was to change the institutional rules of the game: a new constitution was born in which popular protagonism was essential. The need for popular protagonism was an element that distinguished his proposals for democratic socialism from other socialist experiences where the state was responsible for solving problems and the people simply received the benefits. This is what has happened in Brazil with the plan Bolsa Familia. Millions of poor Brazilians families passively received a gift from the state. Once their basic needs were resolved, new needs appeared that couldn’t be satisfied because of the drop in oil prices. The opposition took advantage of that situation to organize mobilization against the government and ultimately unified the forces in parliament that made possible the institutional coup d’état that took place. The orientation of Chávez’s government was completely different. He was convinced that socialism could not be decreed from above, that it had to be built by the people. That’s why he promoted different ways of organizing the people—spaces where they can discuss their needs and plan how to resolve them with the help of the state, such as communal councils, worker councils, and communes. In this process, the beggars of the past are transformed into people who achieve solutions by themselves. And these are the popular sectors that have supported Chávez, and now Maduro as his successor. Without a doubt, what Chávez sowed has marked many people from the popular sectors and it has made them mature, as I could testify in person during the years I lived in Venezuela. I believe that all those people who were given the opportunity to study, to think, to participate, to build, and to make decisions, who grew enormously in their self-esteem and richer as human beings, will defend the process that made this possible. 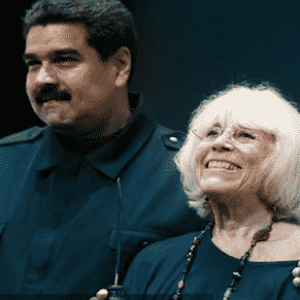 The process may have committed errors and there may have many weaknesses, but nobody can deny that a new revolutionary subject has been created in Venezuela. TT: But how can you explain the chaotic economic situation in Venezuela? MH: Taking advantage of the huge leadership vacuum left by Chávez’s death, the attacks against the Bolivarian revolutionary process have escalated, both inside and outside the country. As it would be very difficult to attempt another coup against Maduro—who has tried to be consistent with Chávez’s legacy—the opposition has intensified the economic war initiated during the preceding period: the Venezuelan government has faced in just over three years the equivalent number of attacks that Chávez did throughout fourteen years. One of its objectives has been to affect the system for accessing basic foodstuffs at subsidized prices, promoted since 2003 through Mission Mercal, with significant results in guaranteeing the right to food. What is occurring is very similar to what happened in Chile to destabilize the government of Salvador Allende: black marketeering on the dollar; the paralysis of certain industries; the deliberate attempt to create fear amongst foreign investors and local business people; international popularization of the image of a country in bankruptcy. Import monopolies and bankers that do not produce goods but simply make extraordinary profit through the price difference between what they buy abroad and what they sell inside the country, set the prices of the goods they import (basic necessities, among them food and necessary items for production and transport) in an oligopolistic manner, using the parallel exchange rate, which is much higher (14.5 times) than the real value of the goods calculated in national currency. This increase in the prices of necessary goods does harm to the Venezuelan people, but it also works against sectors of the bourgeoisie that produce goods for everyday use. However, to increase popular dissatisfaction they create artificial shortages by not putting these items on shop shelves in a regular and opportune way and in sufficient quantities. But nobody can deny that a sector of the Venezuelan bourgeoisie and the corrupt state bureaucracy are taking advantage of this objective situation to deepen the actual crisis and create the conditions to overthrow Maduro’s government. In any case, I do not think that the actual economic crisis in Venezuela is proof of the failure of Chávez’s intent to build a new alternative to capitalism, much as nobody can blame a recipe for a flan that burnt when the oven was turned up too high. What we must seriously analyze is what the government did not do well, and what it should not repeat. The latest news seems to be positive. Recently, the government achieved an important success: a broad international agreement to push up the price of oil. It is also promoting national production, summoning all the industrial private sectors willing to collaborate with the country to participate in this national effort. Finally, it seems there is a decision to take severe measures against the corrupt bureaucracy. TT: Aren’t you too optimistic? Don’t you think conservative forces are winning each day more terrain? MH: I am optimistic because I think that the historical time is against the conservative forces: they deceive the people with promises that they fail to accomplish, but this deceit cannot be eternal because reality will collide with their claims. The historical time is in our favor. What helps us in this fight against the conservative forces is that the kind of society we propose and are beginning to build responds objectively to the interests of the immense majority of the population, in contrast to what the conservative forces propose that only benefits the elites. The great question is then: why, if we have a project that favors the immense majority, does this not translate into an equivalent social and electoral support? The explanation we often give is that conservative forces use the media to disseminate a deformed vision of our project. But we also at fault for this misunderstanding. We have not been able to explain to the people the real dimensions of our project in terms they can understand. And worst of all, our lives have not been coherent with our project. We preach democracy but we act in an authoritarian way; we want to build a solidarian society but we are selfish; we advocate for the defense of nature but we are consumerists. If we want to convince, we need to change ourselves as well.